One of my many inspirations was Picasso. I was really intrigued by his exploration of the way we see the world through multiple viewpoints. The way he captured multiple aspects of a person in one image. These ideas made me think of how so many items show aspects of ourselves. Not just our faces, but our hands, our finger tips, our wrinkles. Not just our bodies but our trinkets and toys and treasures. So I thought I could try creating portraits that showed even more of a subject’s true self by including these multiple aspects of them. 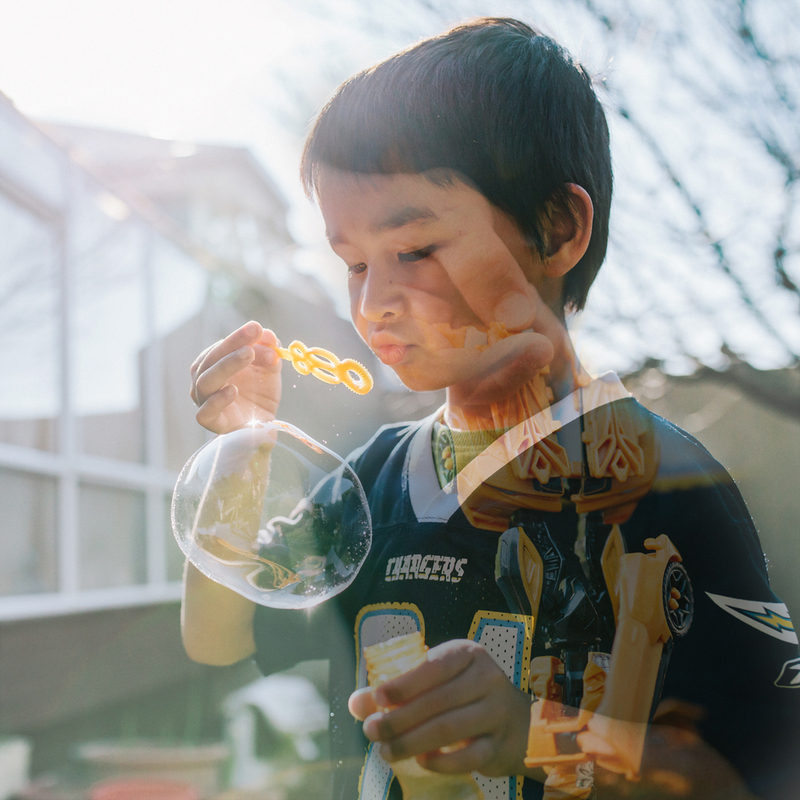 For my first attempt I combined two images from a recent session; one of Jamie showing off his amazing bubble blowing skills, and another of him holding his favourite Transformer toy. I really enjoyed studying these masters of the art world and I hope to learn more from them to help me artistically tell stories in deeper and more personal ways!